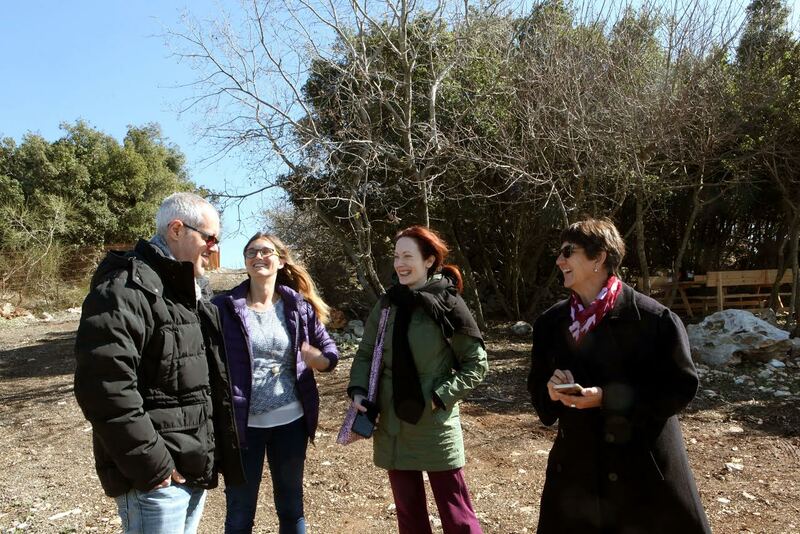 On a recent trip to Israel, I visited some newly planted biodynamic vineyards –the new vineyards of Recanati Winery. 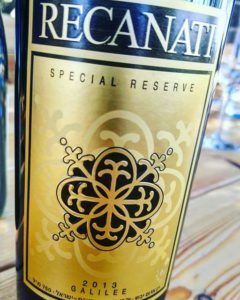 I had been familiar with Recanati’s wines for a long time. They were previously written about and recommended by the New York Times and they were always considered to be a great choice when looking for high quality kosher wines. But what is interesting is that they are wonderful wines aside from the kosher factor – as some of you know, being kosher just means there is an observant Jew overseeing the winery. And they have exciting projects that bring out the exotic, alluring side of Israeli wines that give an inkling that Israel may be the next up and coming wine country to hit the shelves. 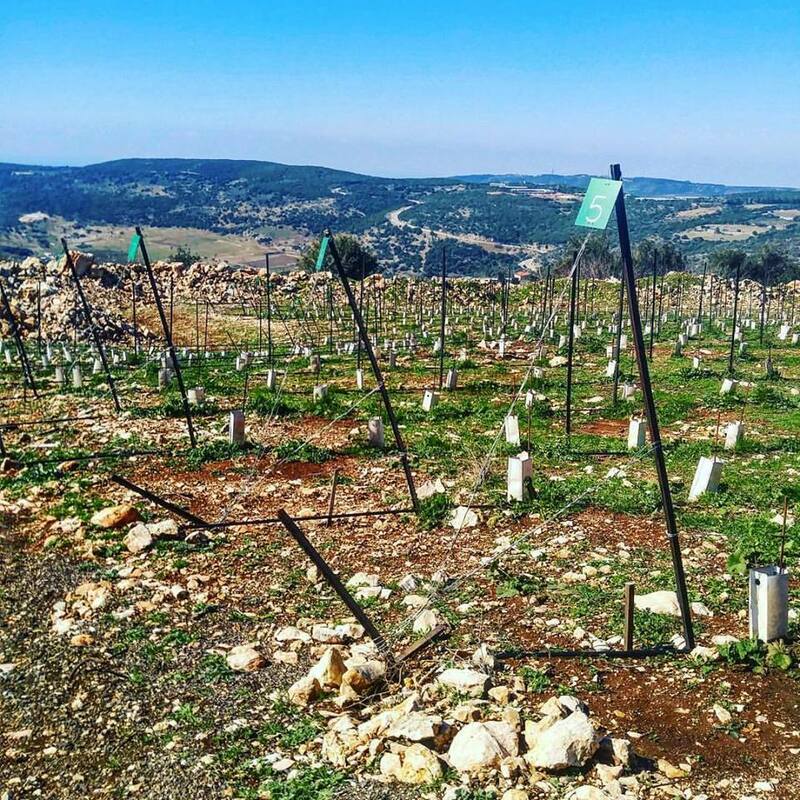 The newly planted vineyard is in the Upper Galilee wine region, northern Israel near the Lebanese border, and is considered to be one of Israel’s finest quality wine growing areas. Also, since I visited during winter, I got to experience their lowest temperatures that hit 32F (0C) while we were in the vineyards. If I had previously doubted for one second that they could get cool temperatures like that in the northern Israeli vineyards, let me tell you, that doubt is completely gone. 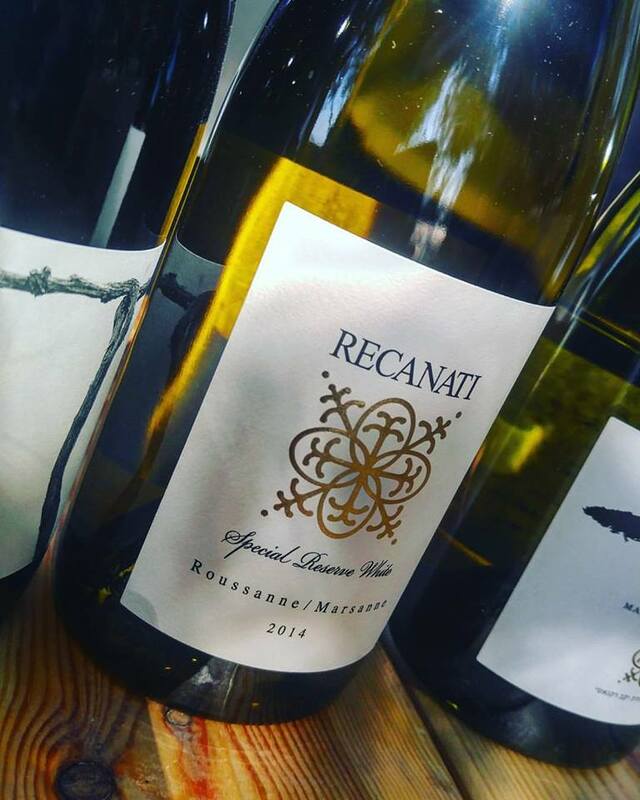 Having a selection of cooler vineyard sites to choose from, as well as picking early, helps to make Recanati’s signature style which is restrained fruit with an overall elegant quality – which exists from their entry level to their top single vineyard selection. 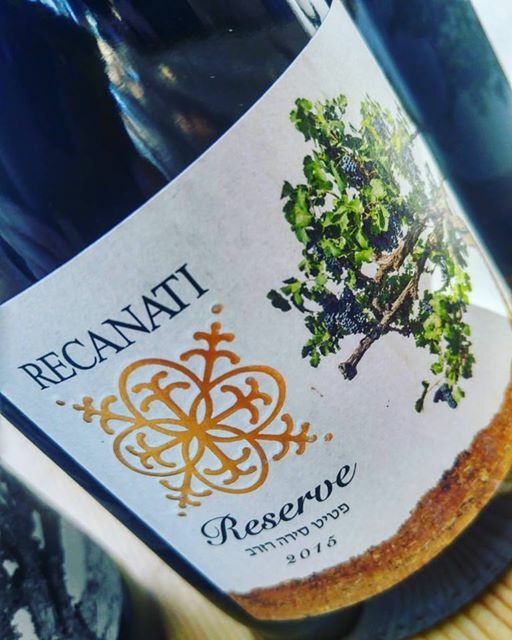 Although Recanati is known for leading the way with wines made from Mediterranean varieties – Carignan, Syrah, Petite Sirah, Roussanne and Marsanne – the best is yet to come as they research indigenous varieties such as the Marawi variety that they just planted in this biodynamic vineyard. Marawi is a white grape variety that was found growing on pergola in a Palestinian vineyard. The exact spot, or name of the grower, cannot be divulged as it is illegal for them to grow and/or sell grapes for the production of alcohol. This ancient variety was able to survive living so long under Islamic rule since the grapes are tasty to eat and so they were grown as a food source. I first tried their Marawi wine last November, during an Israeli wine press lunch in NYC. It instantly hit me with its flinty minerality and a smoky quality that does not come from oak as it is fermented and aged in neutral barrels, but from this unique variety itself. 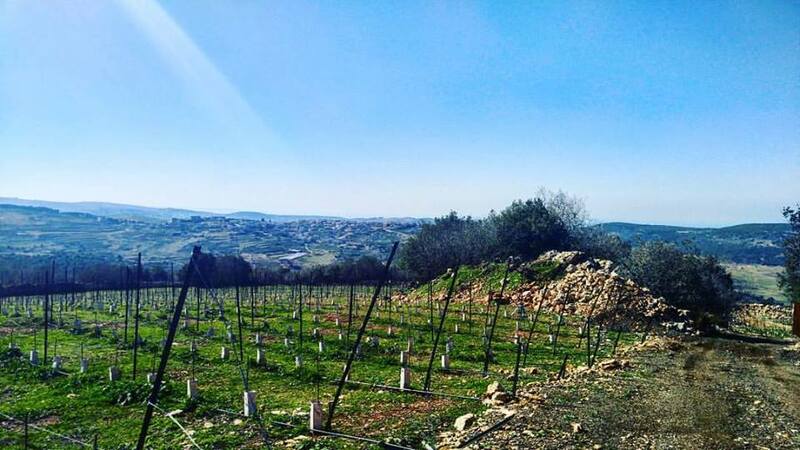 As I stood there in this biodynamic Marawi vineyard, at an altitude of 2395 feet (730 meters) looking across to Lebanon, seeing wild flowers naturally growing and talking to Recanati about their desire to find balance with their vines, their surrounding, their community… I knew that this was the new, hopeful future for the wines of Israel. We should always be looking forward and try to let go of toxic things from the past, but not at the expense of sacrificing those precious aspects that were uniquely suited to a certain place, a certain terroir of our ancestry. 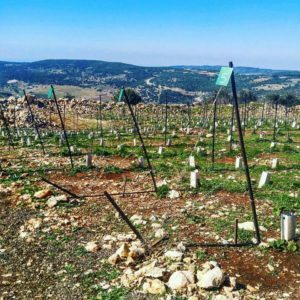 I have a feeling this is just the beginning for this almost lost grape variety Marawi… the biodynamic practice may not only unlock the true potential to this variety but also a deeper expression of terroir in Israel. -2015 Marawi, Bethlehem, Judean Hills, West Bank, Palestine: 100% Marawi. Okay, so this is the star of the show. I actually had this same vintage back in October and it was a pleasure to have it again since this is made in tiny quantities and is so difficult to find on the market. This is from the original Palestinian vineyard they found that is trellised in a pergola (lots of shade to protect from intense sun and heat) and dry-farmed. It has a white chalky minerality with linear body when served cold, yet as it warms up, you get more weight in the body and a smoky character that I am very fond of… also, this time I got a saline finish which I missed before (that’s why it is always good to taste the same wines many times under different circumstances). As I said before, Recanati’s newly planted biodynamic Marawi vineyard may show even more potential for this variety. -2014 Special Reserve White, Vineyards in Kidmat Reserve, Golan Heights, Israel: 60% Roussane and 40% Marsanne. Love this wine. I had the 2012 back in January 2016 and it blew me away. This wine may not be for everyone but for those who love a great white Châteauneuf-du-Pape this will be your jam – as we like to say in the US. Juicy peach flavors, with floral and nutty notes. Rich texture, as one would expect from these varieties, yet plenty of acidity to balance it. I’m not usually a fan when there is too much Marsanne in a blend but this wine has changed my mind. Perhaps it just needed to be grown under the right conditions. Golan Heights is considered one of Israel’s highest quality wine regions as well, next to the Upper Galilee, in the overall encompassing wine region of Galilee. 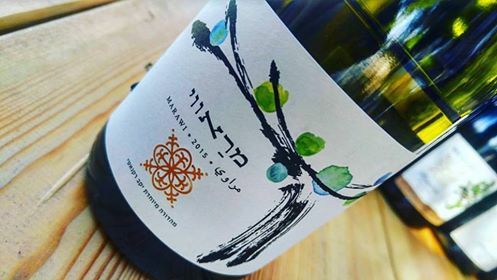 -2016 Marselan Reserve, Vineyards in Kidmat Reserve, Golan Heights, Israel: Marselan is a cross between Grenache and Cabernet Sauvignon and first originated in the South of France in the 1960s. It is a variety that you see a lot in Israel with many producers making it, and it can range in quality. It was nice to have a better example with fleshy black cherry and black raspberry flavors and good grip that gave it structure and lift on the finish. -2015 Petite Sirah Reserve, Jezreel Valley, Lower Galilee, Israel: 100% Petite Sirah. First off, I have to say I was impressed by the management and quality of tannins of this Petite Sirah, as it can be a monster of a wine with regards to structure. Old vines give it deep complexity of flavor, with hints of achiote paste, dark chocolate and blackberry. -2016 Wild Carignan Reserve, Old Vines Dry-Farmed Single Vineyard, Judean Hills, Israel: 100% Carignan. 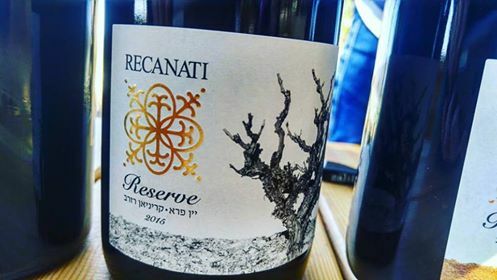 Carignan is a big part of Israel’s wine past as it was brought in by Edmond de Rothschild, and until 9 or 10 years ago was the most planted variety in Israel. 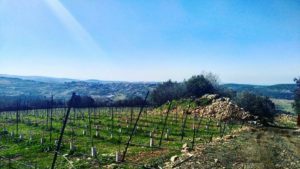 As one can imagine, it was mainly used for bulk, entry level wines, but some producers, such as Recanati, have sought out low yielding, higher quality vineyards such as this dry-farmed one grown by an Arab Christian grower. Another wine made in small quantity, and so hard to find, yet it will be interesting to see the future production of Recanati’s own dry-farmed, bush vine, BIODYNAMIC vineyard that is not yet planted but highly anticipated. There is a fierce white stony minerality hinting towards the limestone soils of this vineyard, and the brambly berry and wild sage flavors with hints of anise and texturally complex body makes this wine a super cool kid! 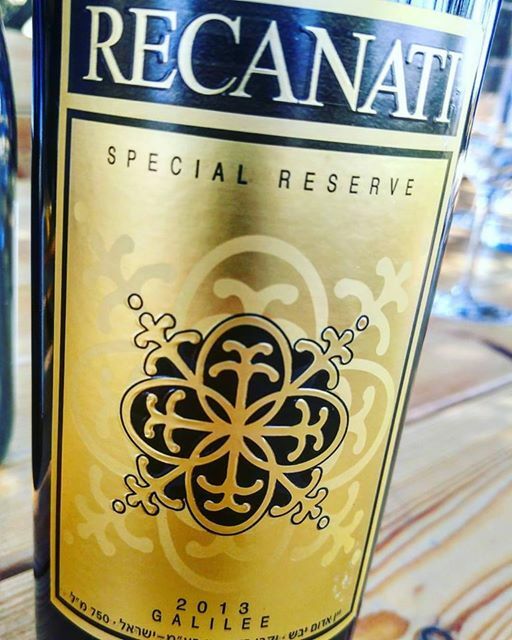 –2013 Recanati Special Reserve Red Blend, Vineyards in Kidmat Reserve, Golan Heights, Israel: If the Wild Carignan is the hipster in the group, this Reserve Red Blend is the well-suited gentleman that brings old world charm, but with a twist. This blend changes every year, and some years they do not even make it, such as 2002 and 2010, due to the fact that they select the best barrels from their top plots. This 2013 is around 70% Syrah, Petite Sirah, Carignan and Marselan & 30% Cabernet Sauvignon. 30 to 40% new French barrels, aged 14 months separately and then aged 4 months together as a blend. It is big, concentrated yet reserved, and elegant with an outstanding quality of giving power but with refined subtlety. Dried thyme, violets and espresso wafted into my head while the body delivered manicured tannins and a long, expressive finish. This entry was posted in Uncategorized and tagged Indigenous, Israel, Recanati, Upper Galilee. Bookmark the permalink.